Training Packages are the easiest, simplest and fastest way to sell your personal training package to new or existing clients. 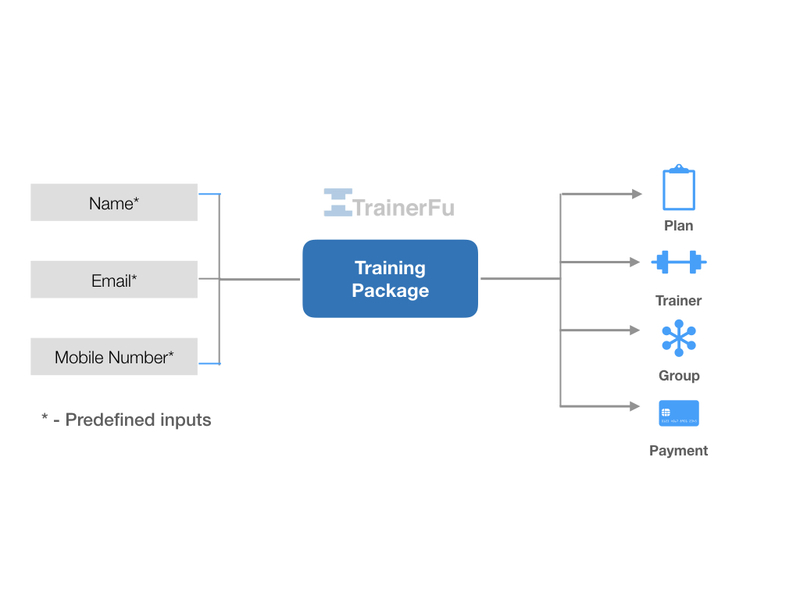 As you can see, with Training Packages, we have integrated multiple software pieces into one nifty feature, so that you can streamline client onboarding experiences, and automate your personal training business. Collect one-time or recurring payment via PayPal. You can also create free packages. Smoothly onboard new clients. On signup, an account will be created for new clients and they will be directed to download the app. Automatically add clients to groups, assign them a workout plan & trainer. Step 2: Next, select the group that will be assigned to client when they signup for this training package. We recommend creating a separate group for each plan, so that you can easily look them up from your trainer app. Step 3: If you're running a fitness challenge or online free trial, you might want to instantly assign a plan to clients on signup. 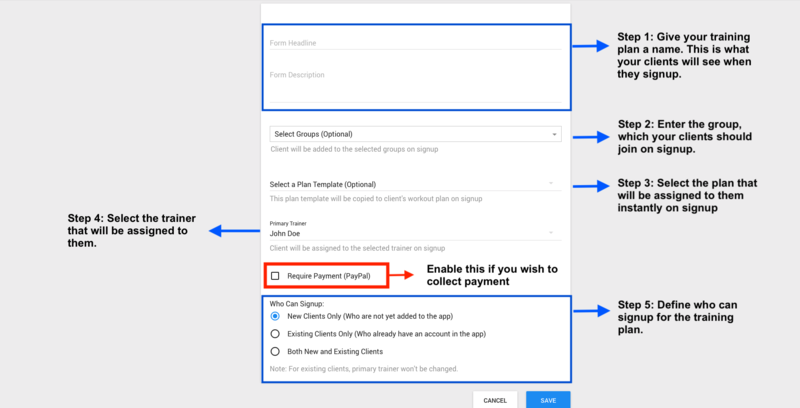 You can configure this behaviour by selecting a plan template. Advanced workflows: You can create fully automated training workflows by combining training packages, groups and auto-messaging. In other words, as soon as a client activates a training package, they'll get their training plans, messages, and everything that's setup, auto-magically.